You will need to seek a very specific lender in order to get military loans with no credit check. Traditionally, it is challenging to secure a loan when you are serving in the military. Military personnel may have limited assets, limited income and little to no credit history. All of these factors make most personnel high-risk borrowers. High-risk borrowers may want to seek no-credit-check loans because lenders who offer this service tend to have more relaxed standards. High-risk lenders are not traditional loan sources. Banks, for example, will not extend loans without a credit check. Any organization insured by the federal government will be required to use a credit check prior to providing financing in order to protect other deposit holders and borrowers at that institution. As a result, you will need to go to a lender that is not subject to federal loan regulation. This poses many risks to you, but there is no way to avoid a credit check at an insured lender. 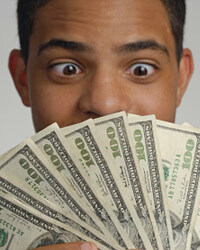 Therefore, seek lenders advertising no-credit-check loans online or in local newspapers. There are some lenders who specialize in loans to military personnel. There are two types of military lenders. The first type is looking to take advantage of the desperate situation many military borrowers find themselves in. These lenders have very high interest rates and unfavorable terms. There are also lenders that sympathize with the challenges faced by military personnel looking for financing. These lenders offer flexible loans with lower rates. It can be hard to tell the difference between the two on the surface. Looking for a nonprofit military lender may be a good choice. These lenders, though, will likely require credit checks. It can be hard to find a reputable military lender that does not want to review your credit history. Loans made against collateral often require no credit check. You simply need to deliver the deed to the collateral to a lender, and the lender will provide you with cash in return. Of course, your asset will be seized if you default. However, this can be a good option if you are seeking a relatively low-limit loan. Military service persons who do not need their automobiles in the short run may find this to be a viable source of collateral. Search for auto title loans with your local providers. Your pay check is a potential source of collateral. You should note that pay day loans are very risky because they have high interest rates and require payment in full at the time they are called in. It is better to take a loan from a friend, family member or other source than from a pay day lender as a general rule. Seek this type of loan only if you are using the funds to meet an emergency situation, such as a medical necessity or pending default on another loan.